You may have heard me mention one or a hundred times that I used to own a picture framing business, so I often get questions about framing items. This past week I have talked to 3 different people about framing old photos, and since they in particular need special care, I thought I’d share a few tips here to keep in mind when displaying yours. 1// MAKE A COPY of the photo and frame that instead of the original. Sunlight is the enemy of old photos and will fade them away into ghostly images if you expose them long enough. 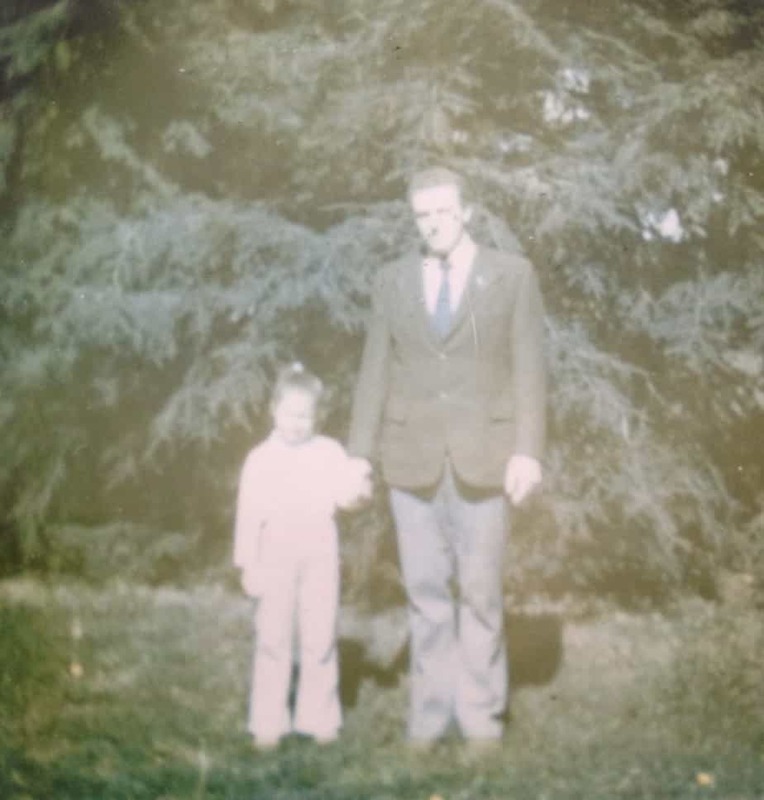 Instead of taking that chance, frame a copy instead.This is one of the few photos I have of me with my dad and after many years in a frame it is very faded. 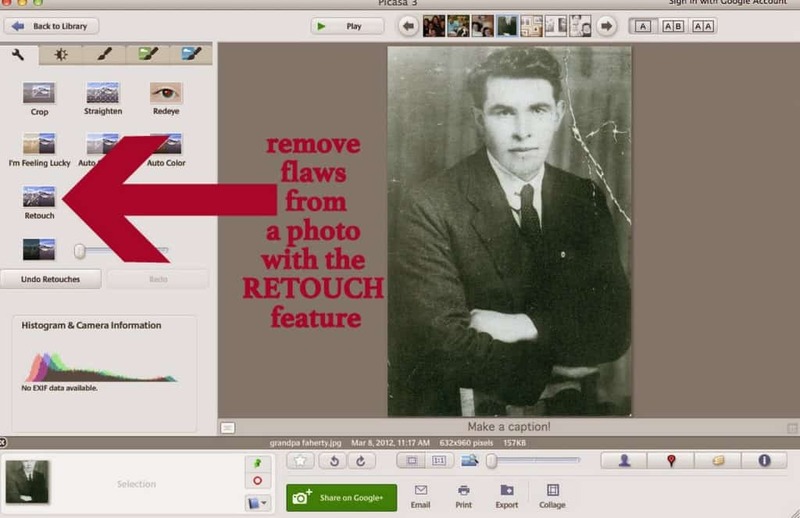 2// Try scanning your photo to your computer and fixing flaws yourself. 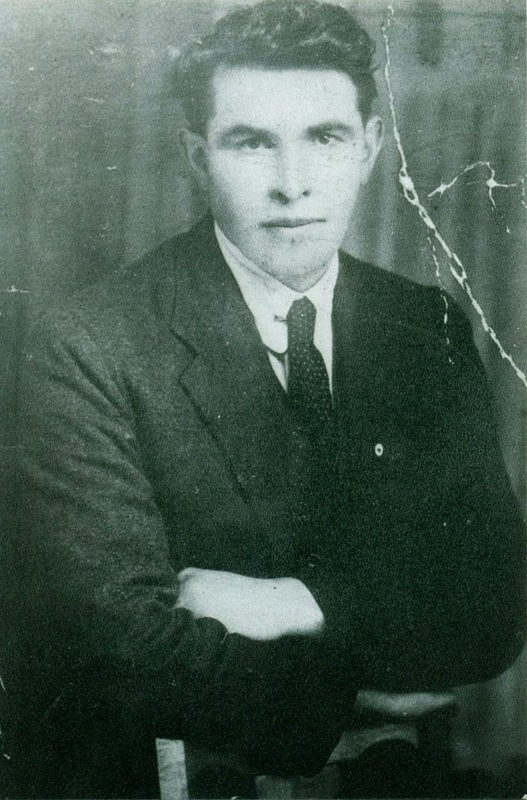 The example I’m using is a photo of my grandfather Thomas Faherty, taken I’m guessing somewhere around 1910. This image has been copied numerous times so the quality of what I have to work with isn’t so great anymore. I use the Retouch feature in Picasa to remove any spots or creases. Then I usually adjust the lighting of the photo too. 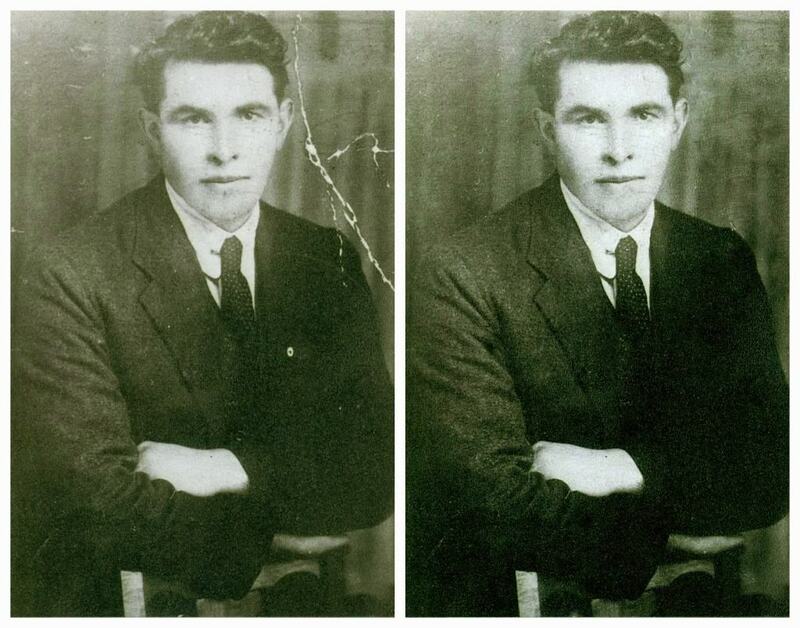 I occasionally use the Color Temperature gauge to fix an old photo that might have a slightly brown or yellow cast. The end result is not perfect, but it’s better than what I started with, right? 3// You don’t have to spend a fortune on photo reproduction. Years ago I brought old black and whites to a camera and photo specialty store to have them restored and copied. The service and photos were costly. Nowadays I usually scan the photos and enhance them on my computer and then upload to Snapfish. This way is also pretty cheap even after factoring in shipping. 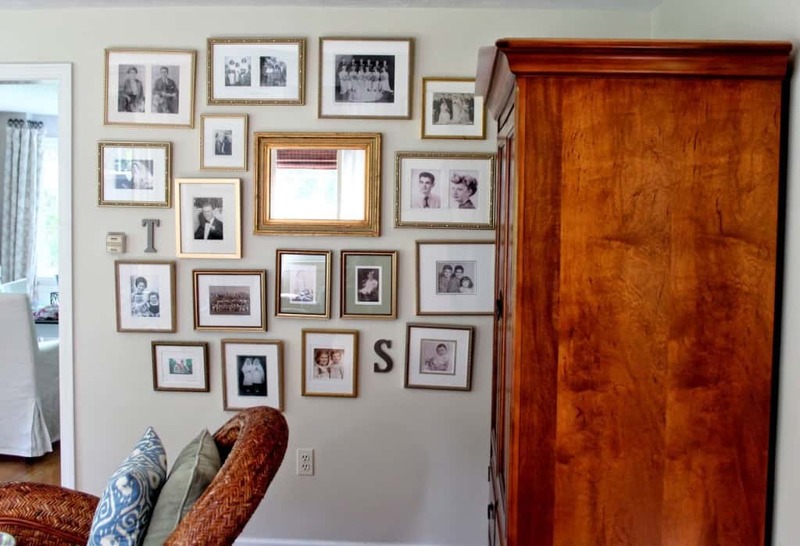 This gallery wall below (that has since been made into a wall of built in bookcases) is comprised the photos mentioned above – ones that were restored and printed at a photo specialty store and ones I uploaded to Snapfish to have printed. So the moral is – you don’t have to spend a lot of money reproducing old photos. printing photos on paper on your home printer. For framing purposes, this has NOT been successful for me over a long period of time. At first the photo might look great but over time the image will deteriorate. 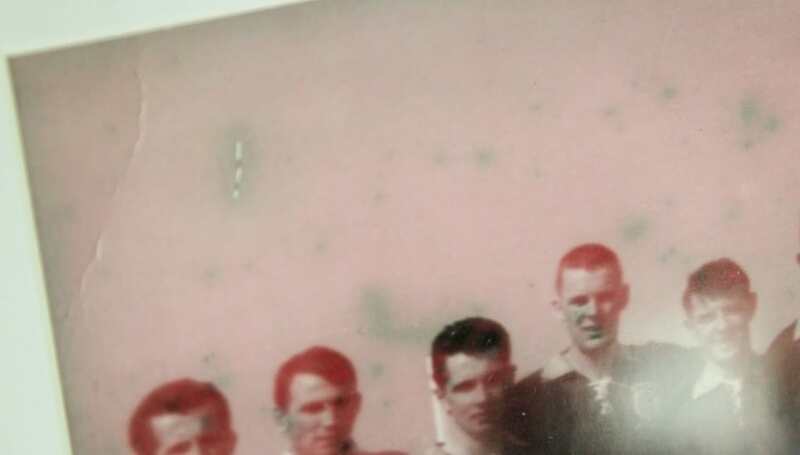 I framed this photo (Dad’s Irish football team) about 5 years ago after copying a photo on my printer. The image color is all distorted (dark parts faded, and the sky took on that weird pinkish hue) and spots developed all over it. 4// Choose mats that are acid free. 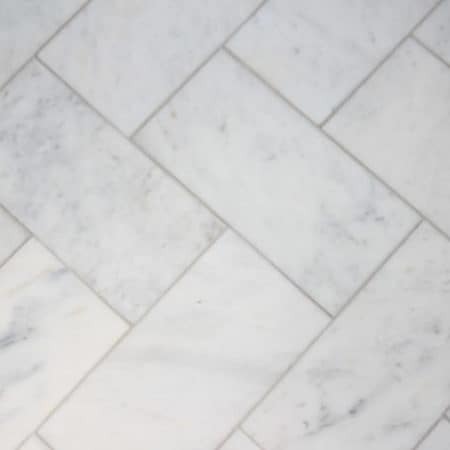 Most mats today are acid free but if you are buying a ready made frame and mat, be sure the packaging states that the matboard is acid free to avoid deterioration of your photo over time. 5// Look for ready made frames that have UV filtering glass. 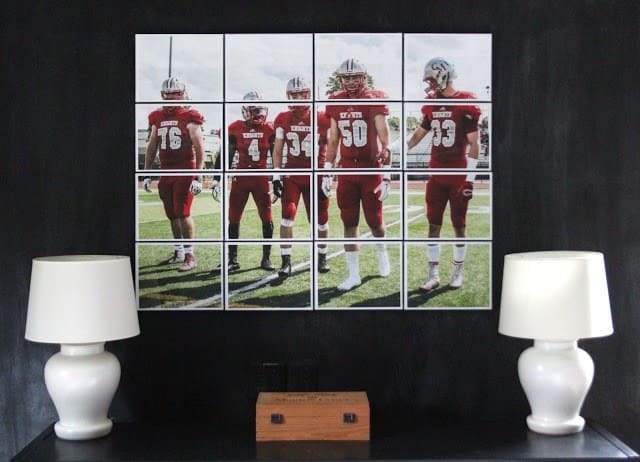 This will also help your displayed photo from fading and deteriorating over time. I don’t always find ready made frames with this feature but if you are hanging your framed photos near a window then pay special attention to this. I think old photos add such interest to a home and a sense of history for a family. They tell part of your story just like using maps in your decor. 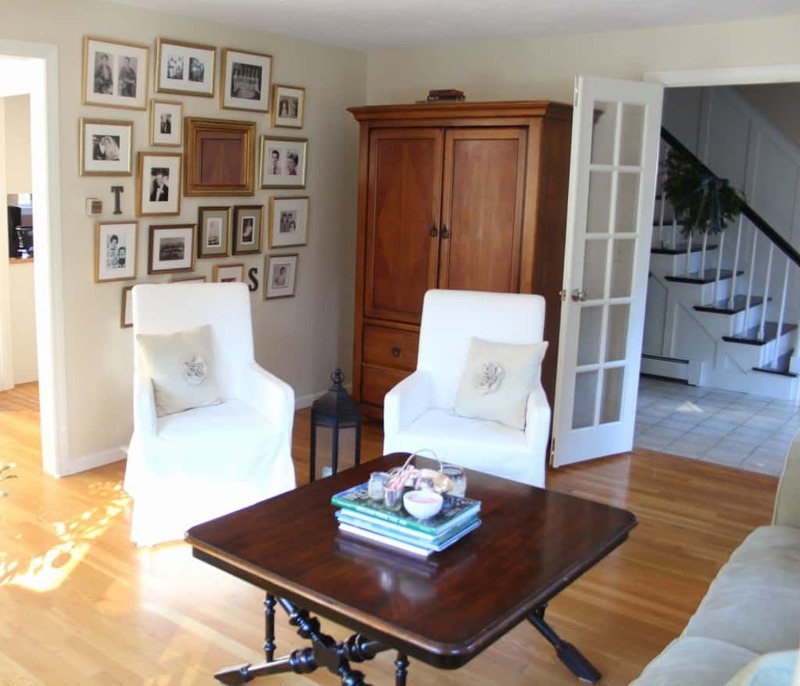 Do you display any old photos in your home? At Long Last….Living Room Progress! What helpful hints, Lisa! I can't believe how well that photo turned out after retouching it on Picasa. I have to try that! Stay safe and warm in this crazy blizzard. You guys are going to get the worst of it. My kids had off today and will tomorrow too. Right now we've had steady snow but I don't think we will get anywhere near the accumulation you will be getting! Enjoy your time with your family! 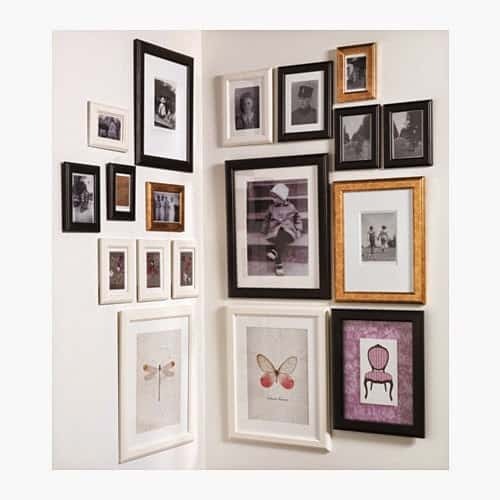 I have alwasy loved gallery walls with lots of family photos! I also always think about homeless people during cold weather. I will eb praying for the ones in your area. Stay warm! This is great Lis! Thank you so much for sharing! I have a ton of old photos I need to get going on!! Perfect timing!! Stay warm!! 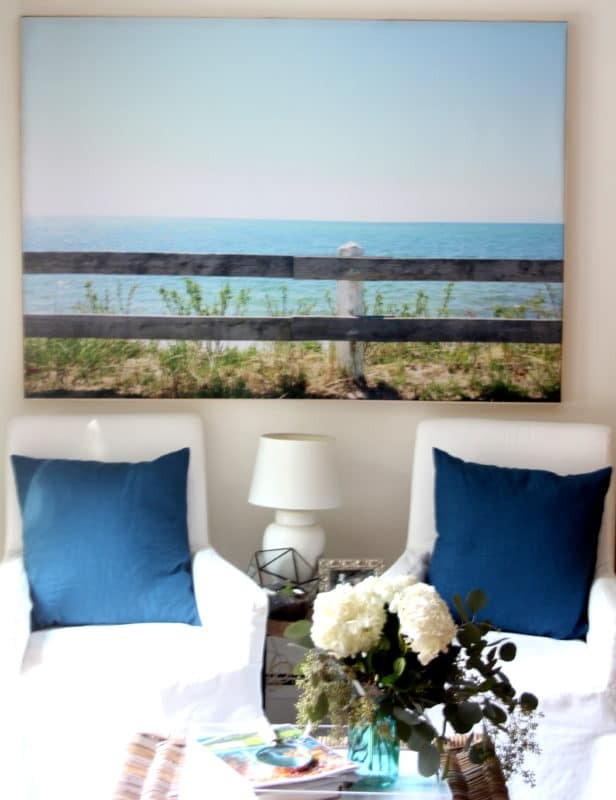 I love a good gallery wall and especially when done with portraits, there's such a sense of connection to the owners there the home just comes alive! Beautiful post, great tips! Lisa, these are such great tips! I love your grouping on your wall fun of such special people and memories. Stay warm, my friend! And thank you for all of the inspiration. I have lots of old photos in a shoe box but haven't done anything with them. Now I have a reason to! Wow, now those are some gallery walls!! I love yours too. 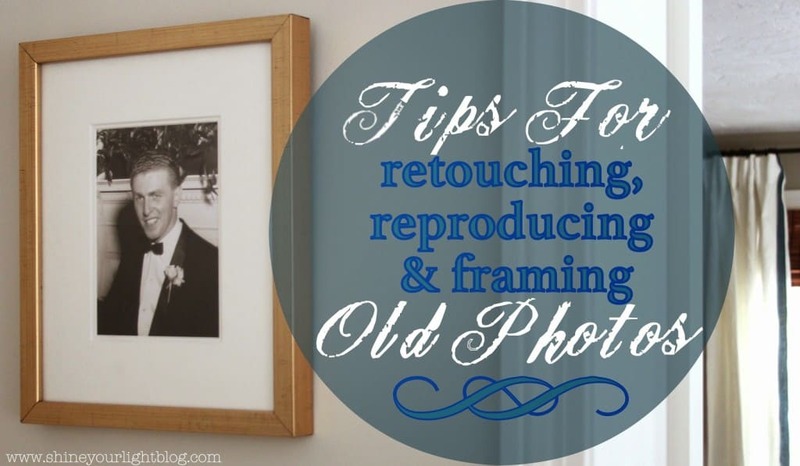 Great tips on preserving old photos. I love having old family photos in our home! !